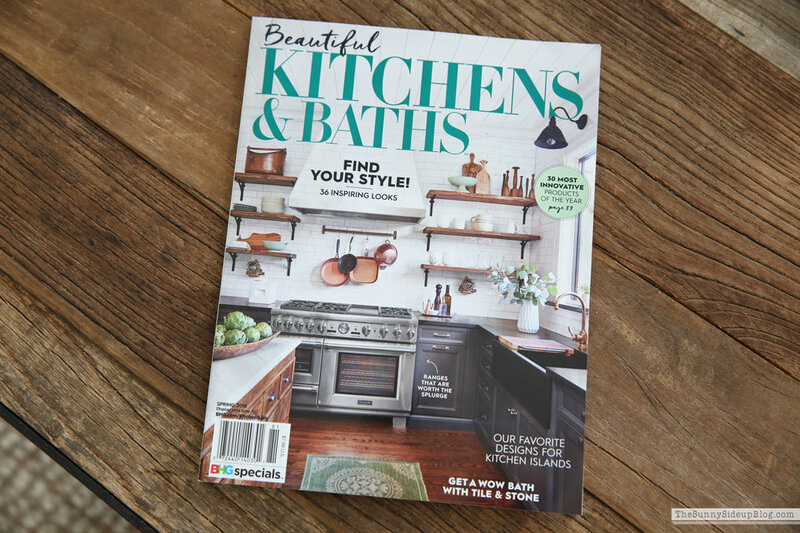 This is the magazine it’s in.. six pages in their Spring 2018 Beautiful Kitchens and Baths. I couldn’t find it in my grocery store and had to go to a book store to find it. And this isn’t the issue that shares my pantry! 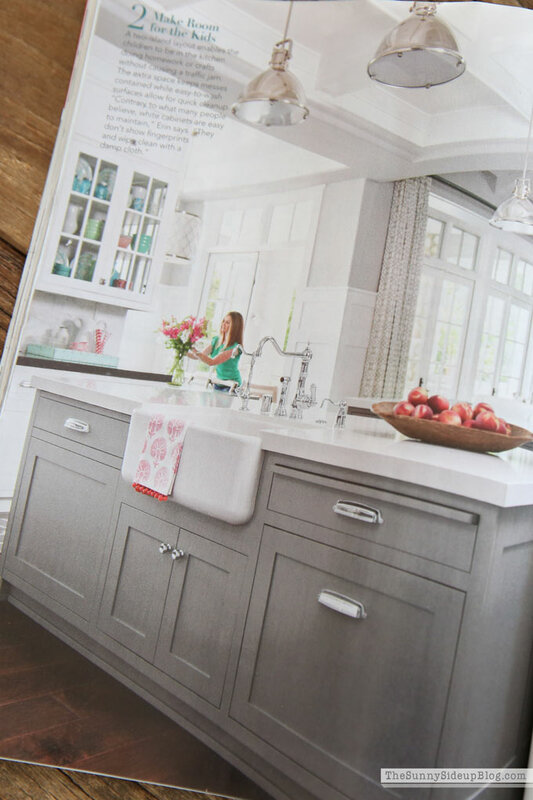 They actually took the pictures of my kitchen for their Spring storage/organization magazine that is supposed to be coming out soon, but then later told me that they were going to feature it in this publication also. Oh hi! That’s me just casually arranging flowers in my kitchen.. in a magazine! Kind of surreal. And a great birthday present! Thanks for all of the love and support you guys.. seriously. It means so much to me! I did a little birthday shopping and oh my word.. there are SO many cute new things for Spring! 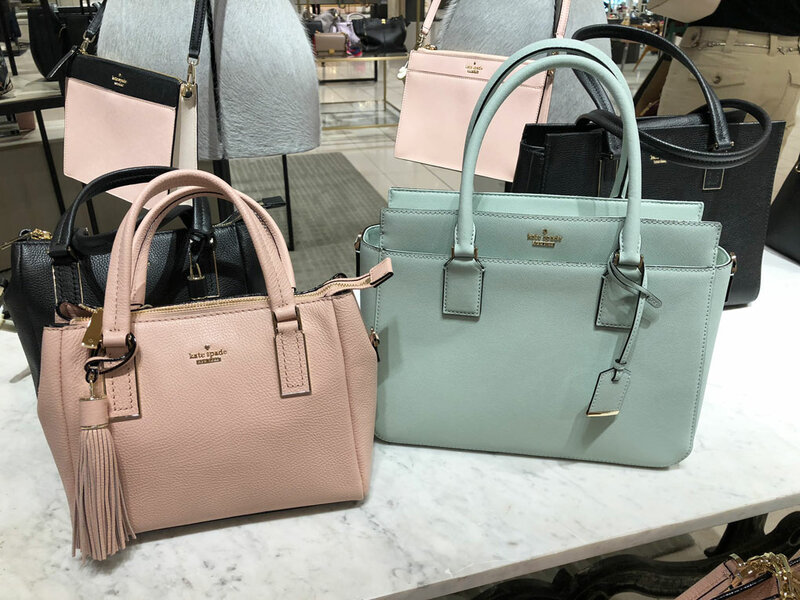 Pastels are big this year and when I saw the new Kate Spade purses that are out I knew that one of them would be my birthday present – to me from me. :) I had the hardest time deciding which of these two bags to buy..
but ultimately came home with this darling pink leather satchel! I’m so in love. It’s a smaller size but holds a lot! I already have this mint Kate Spade wallet but now kind of want this one or this one in pink to match. Mother’s Day maybe? To me from me? 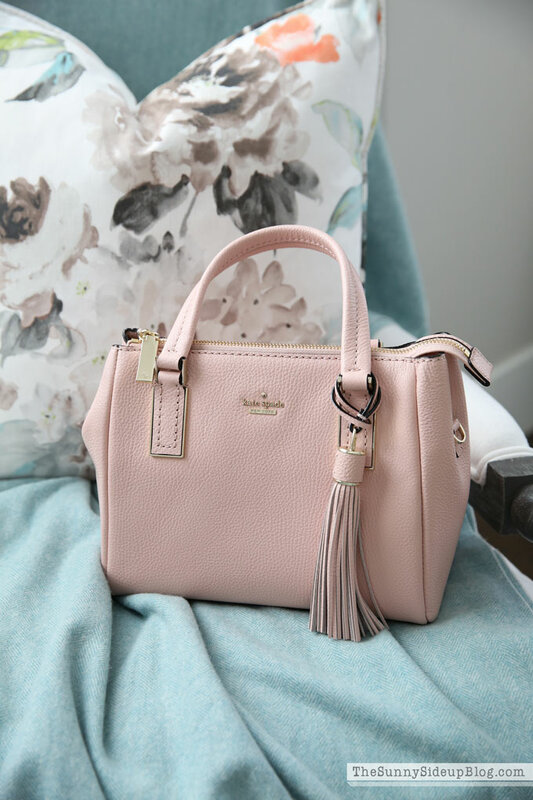 :) Here are some other favorite purses I’m smitten with this Spring. Just picking one was so hard! So many cute espadrilles out for Spring! 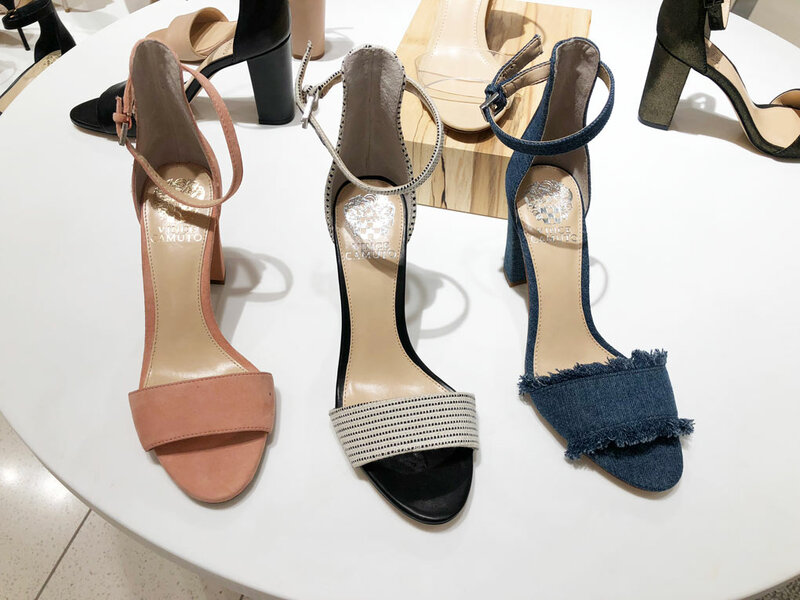 Vince Camuto shoes are my favorite hands down and I love these new ankle strap shoes to wear with skirts or dresses. I brought home the Corlina black and cream sandal (thinking it will be so cute with all of my black dresses). I want the denim though too! Aren’t they fun!? Three pairs of shoes that will be on repeat for me this Spring! Everyone needs at least one gingham shirt this Spring. This will make me feel better about owning five. Ha. :) But seriously.. I love this one. It’s a soft silky material.. perfect for Spring days that are warming up but not hot yet. Would be cute tucked in with a skirt too! Black or a bright solid color like pink or green. I love this shirt so much I bought it in the grey stripe too! It comes in lots of fun patterns/colors. It’s cute tucked in a little or tied in the front. Then it hangs long in the back. Called “the perfect shirt” and I kinda agree. Love it! I’ve been venturing out in my heeled shoes a little here and there..
Ok.. make that six gingham shirts. ;) Another favorite! Loving the ties on the sleeves. My 11 year old has already claimed this shirt as soon as she can fit in it. Hangs long in the back. I also love it tied in the front with black cropped pants and sandals like this. Spring staple! Ok.. I have officially found the perfect Spring tee. 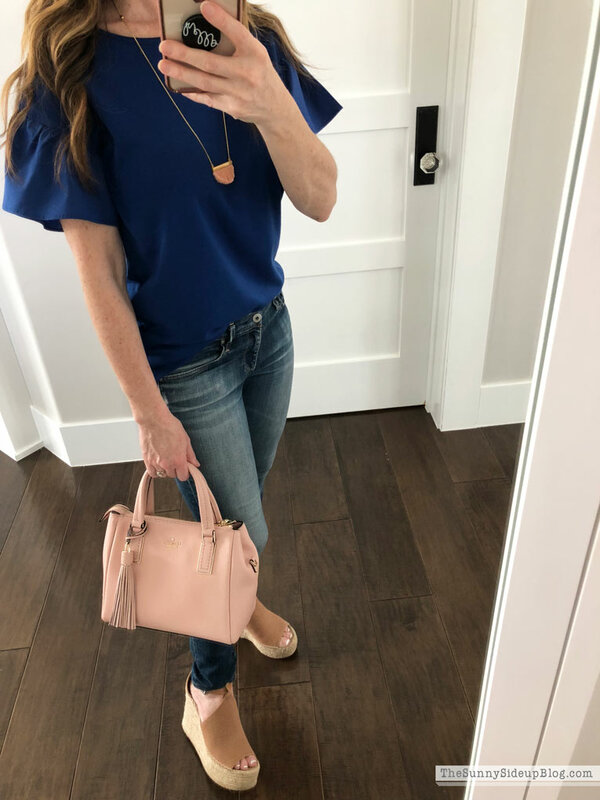 This darling ruffle sleeve top comes in so many cute colors! It’s really similar to this linen tee I’ve always loved, but has pretty silky sleeves. I think that’s why I love this top so much. It’s comfy like a t-shirt, but has a layered feminine look with the silky bottom and ruffled sleeves. Of course I had to get the green. The pink shirt washed me out (I just can’t wear that color with my fair skin!) so I decided I’ll do the next best thing and just accessorize with pink! Honestly this pink bag looks cute with everything! The grey with white sleeves is also cute! Another thing I love about this top.. so nice when the material goes all the way up underneath your arm! I hate it when I have to layer a tank just because there is a huge gap in material under the arm. Anyone else? I couldn’t pass up the blue and this top also comes in a mint color that I want.. ahhhh! Too many cute colors. I’ll just take them all please! Love the blue with my new espadrilles. They match my favorite Tory Burch tote so this will also be a combo on repeat this season! Another flutter sleeve top that had to come home with me. Isn’t the blue pretty!? This top also comes in a black and a white. So cute. I’m also loving all of the fun jewelry for Spring! Here are favorites that I have or am thinking of buying.. 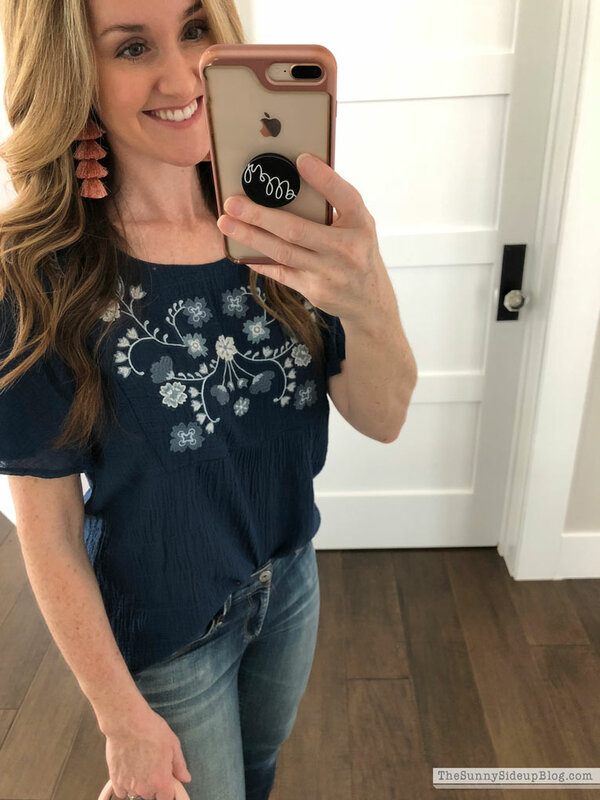 This embroidered flutter sleeve top is beautiful! A bit of a splurge and I really debated back and forth but I knew it would look so cute with jeans, skirts, white pants, etc. And because my olive green obsession will never die.. this Madewell tie front tee was calling my name. Love it so much! I’ve only had it a couple of weeks and have already worn it four times. :) I love the material and it has a really flattering fit. It also comes in a pretty mauve! On a side note.. I’ve been curling my hair more lately and am so obsessed with my new curling iron! I told you I’d let you all know if it’s worth the money. UM YES!! 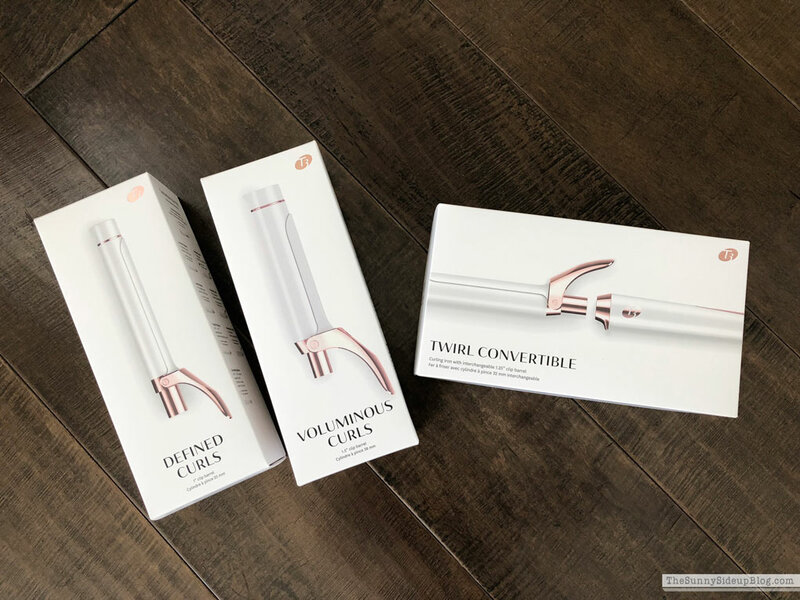 Hands down the nicest curling iron I’ve ever used. Now maybe that’s not saying much since I usually use a $12 Conair from Target.. ha. But I’m loving my new T3! It curls my hair so quickly and does such a pretty, smooth, effortless beachy wave. I’m excited about it! I got this one with all of the attachments that are different sizes, but I love the size it comes with so this one would work great if you don’t want to spend as much. I picked up a new swim suit for summer because the cute suits always go so fast! Is the color surprising you!? At least I’m predictable. :) I debated getting this in black (it comes in green, black and white) but I already have several black swim suits and the green was a fun change for a suit. This is such a beautiful, flattering suit! I love the neckline and it’s a really great fit. (Great reviews too) I thought about trying it on for all of you, but the model and I basically look the same in it so no need.. ha. ;) I’m looking at beach bags for our Spring Break trip coming up too. So many fun options! 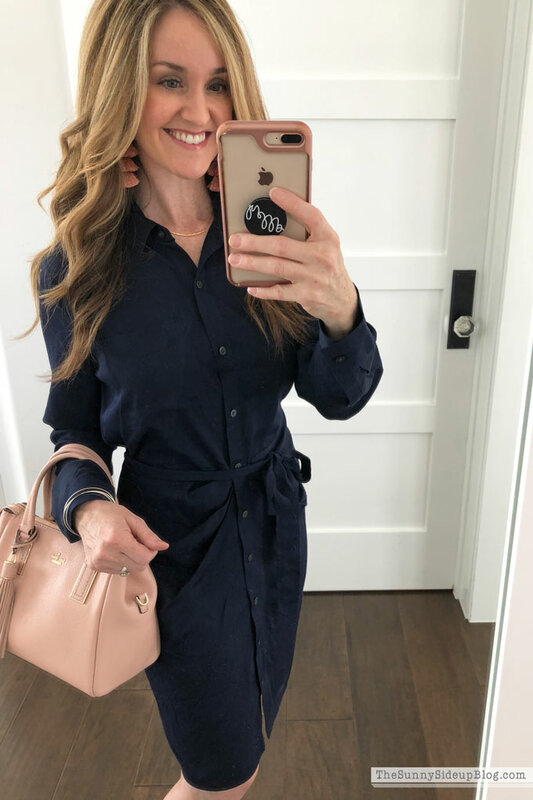 I think I shared the link for this navy shirtdress a while back when I ordered it, but have to tell you all that it is such a cute, flattering dress! I’m dying to wear it but haven’t been able to pull it off yet because I’m not comfortable in the super high heels that it looks best with. Plus I’m a little self conscious about the new lovely scar I have going down my leg! Waiting for it to blend a bit more which is also why this pic was taken from the knees up. I’m so tricky like that. :) But seriously.. I LOVE this dress and it’s on sale for a great price! All this talk about ruffle sleeves and swim suits and dresses. So fun for Spring! But regardless of the weather, there are some days (ok.. a lot of days) that a good camo sweatshirt and sweatpants are all I need. Whew! That was a marathon post. Spring fashion is always a favorite! Cheers to sunny days and cute espadrilles in our future! What a great post! You look so cute in everything! I’m going to try and find that magazine. I’m so happy for you! Happy belated birthday! Looks like you and your friends had a great time. Oh golly, you are a tiny thing aren’t you, Erin?! 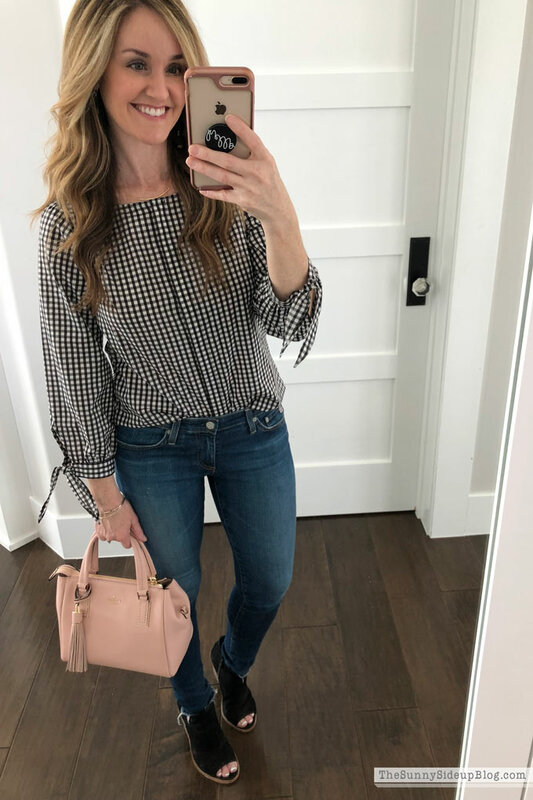 You look fabulous in everything, but some of my faves are that embroidered top and the gingham tops. So cute and flattering. But really, just about everything you wear looks amazing. Of course, it does! Why would you post something that doesn’t look great? LOL Seriously though, you have excellent taste and know your body well. The bag is lovely, too. Oh and I have to say, I’m really liking the wave you have in your hair in these photos. Looks so natural and beautiful. Congrats on the curling iron find that is working out so well. :) And last but certainly not least, congratulations on the magazine spread feature. How awesome is that! 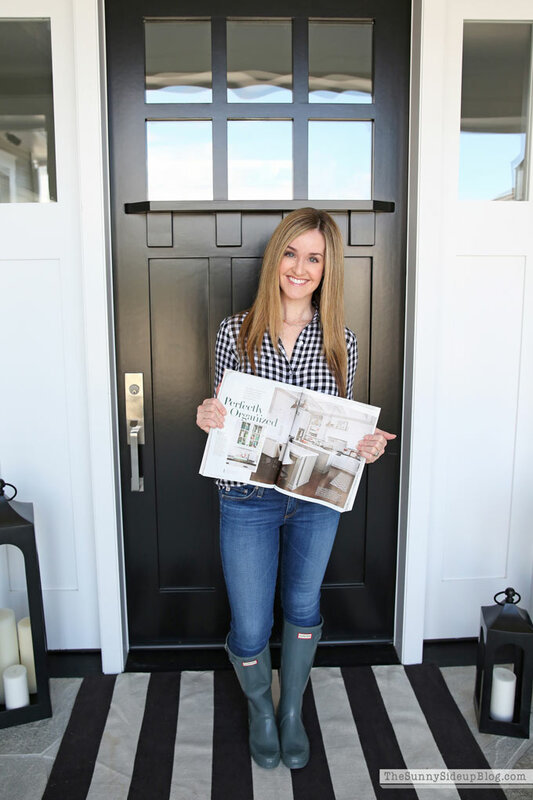 Did you ever think when you working on designing your home that it would be magazine worthy? That is so neat. Thrilled for you! What a happy post. Thanks so much for sharing! Congratulations on being in the magazine. How cool is that? 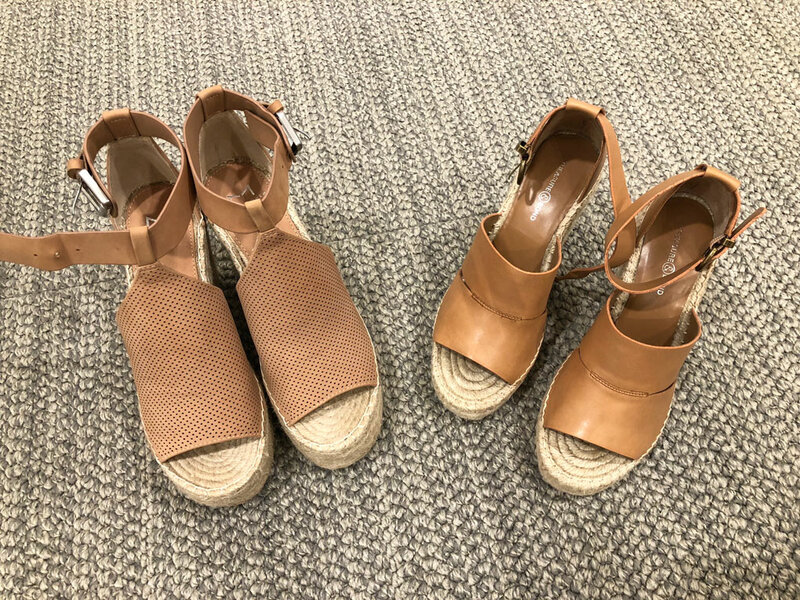 Thanks for sharing the great finds for spring. Isn’t spring fun? It always seems like a new beginning in some way. Congratulations on the magazine feature, Erin! I’ll try to find the magazine here (Ontario, Canada). I always love a good espadrille that has a good height but not too much arch so they’re super comfy! I am getting over strep so I’ve only ventured out the house once to the store and I didn’t see the magazine then. So I’ll be making a special trip to Barnes & Noble to go pick it up :-) Glad you’re feeling better! 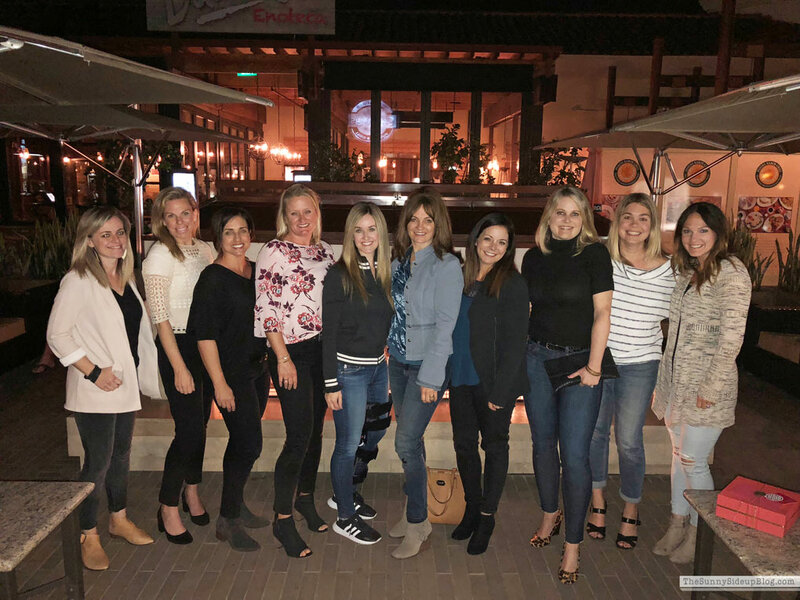 I’m so glad you are feeling better and able to move more….and, of course, wear your cute shoes! You always wear the cutest clothes. I am living vicariously through you, Erin! Seriously, we could almost be twins….minus some poundage, years and a bit of the cuteness-factor. So, definitely, twins! 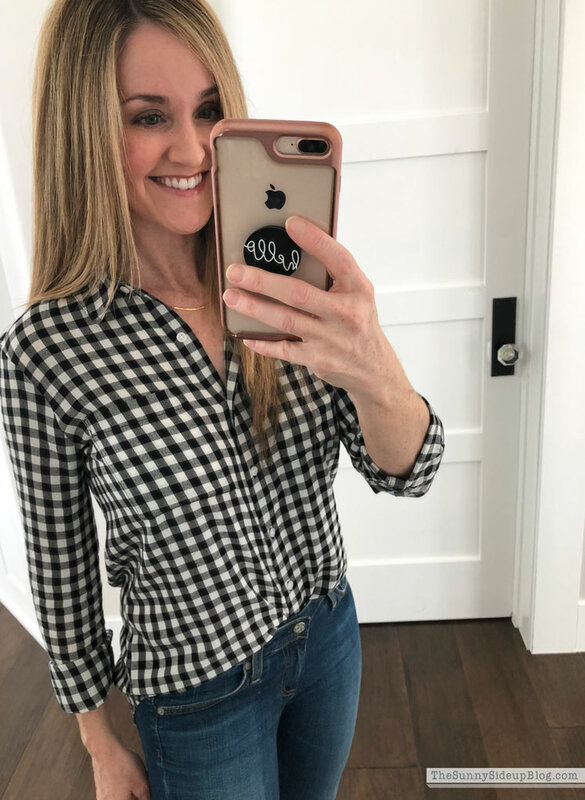 Your style is adorable all the down to the iphone case! So my question is where did you get your iphone case cover? Erin, I am so happy for you and your magazine publication!! It is certainly hard earned and well deserved. :) I took a picture of the magazine at Barnes and Noble and sent to my husband with a request for it and some chocolate for an anniversary gift!! Happy almost spring to you!